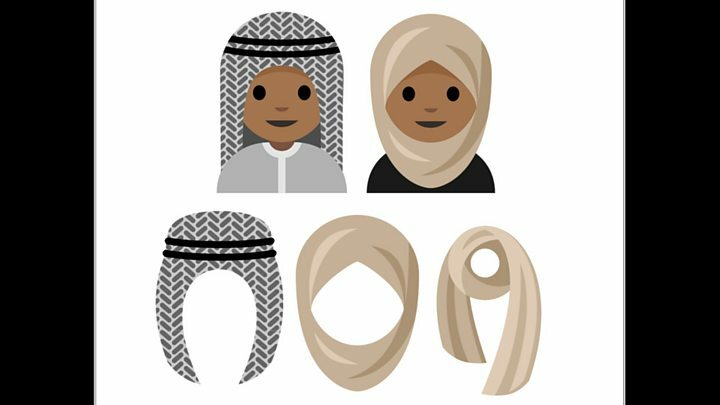 Media captionRayouf Alhumedhi wants an emoji to represent Muslim women who wear headscarves. The proposal comes as countries across Europe wrestle with the issue of the Muslim veil - in all its forms. Rayouf Alhumedhi told the BBC it was during a group chat with her friends on social media that she had realised there was no emoji to represent her, a headscarf-wearing woman. After reading an article on emoji design, she wrote an email about her idea to Unicode. Intrigued, a member of a Unicode subcommittee replied, offering to help her draft a formal proposal. "In this day and age, representation is extremely important," she said of her reasons behind the project. "People want to be acknowledged... and recognised, especially in the tech world. This is massive. Emojis are everywhere. "There are so many Muslim women in this world who wear the headscarf. It might seem trivial... but it's different when you see yourself on the keyboard around the world. Once you experience that, it's really great." To boost support for the initiative, Mr Ohanian hosted a Reddit live online discussion on Tuesday where Reddit users could ask Rayouf Alhumedhi about the new idea. Some wanted to see whether they could get involved while others questioned the need for the hijab, saying it was a tool to oppress women. The drafting committee hopes to present a final version of the proposal to Unicode in November.